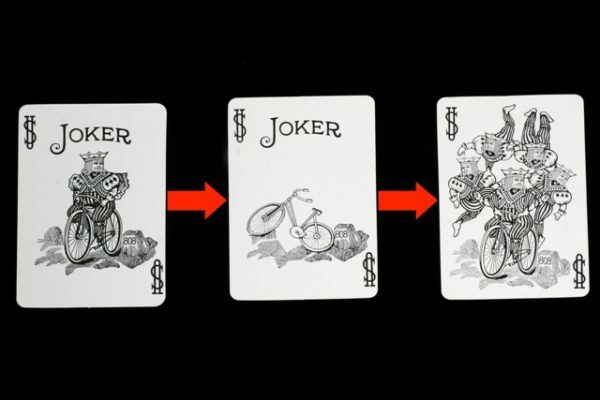 Five bike-riding Jokers are shown back and front. One joker- the leader- is put aside. One by one the remaining jokers are turned to show that each one has lost its rider. The bikes are empty. 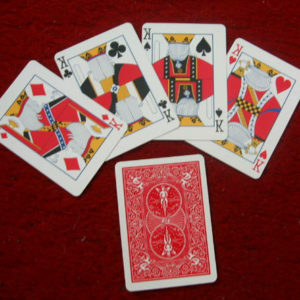 Where are the missing Kings? Look atthe leader card and there they are in a demo of acrobatic cycling. An alternate ending is supplied for the beer drinkers!